As the 2017 MAAS Research Fellow, Scardifield undertook investigations into 19th century astronomical artefacts from the collection. Objects uncovered during her research are re-imagined as tools of anatomical enquiry in the context of the exhibition, which seeks to calibrate physical and celestial bodies. 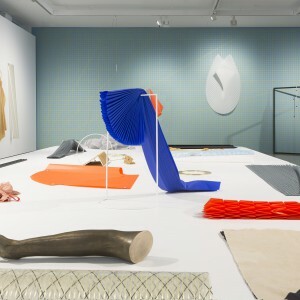 Adaptable textiles and sculptural objects that recall clothing racks and fabric bolts are used in tandem with a large-scale wall schema that mimics a patternmaker’s cutting mat. 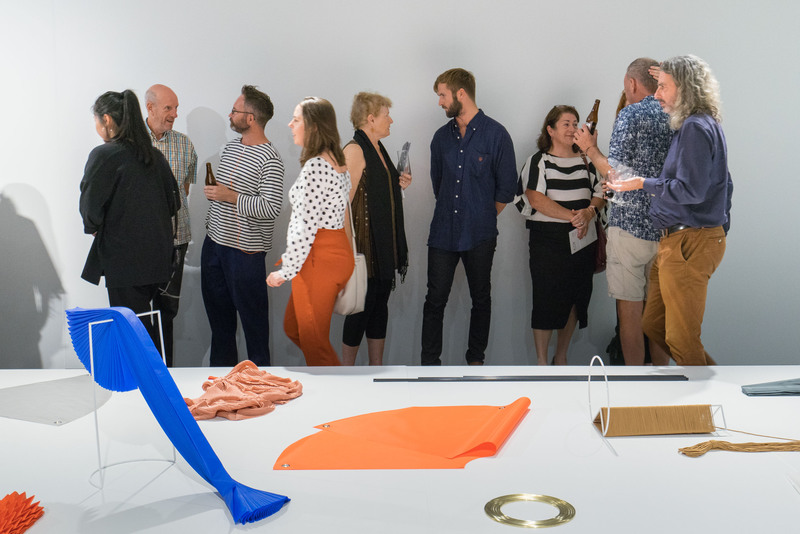 Over the course of the exhibition, invited collaborators—including a sail-maker, engineer, percussionist, fashion designer, architect and the artist’s mother— will join the artist in manipulating these forms and enter into a speculative game of measurement and observation. Soft Topologies is accompanied by a limited edition pleated publication designed by Simone Mandl with an essay by Isobel Parker Philip (Curator of Photography, Art Gallery of New South Wales). Read the Soft Topologies catalogue here. Exhibition opening – Tuesday 27 February, 6 – 8pm. Art Month Precinct Night – Thursday 1 March, 6 – 8pm, UTS Gallery. 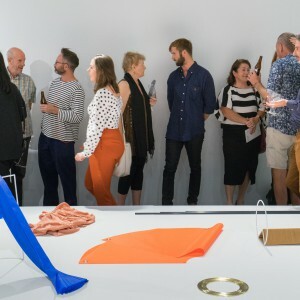 Sydney Design Festival – Kate Scardifield in Conversation with Andrew Jacob (MAAS), convened by Katie Dyer– Friday 9 March 1 – 2pm, UTS Gallery. Sherman Centre for Culture and Ideas (SCCI) Deep Dive Forum: The Art of Fashion, Wednesday, April 11, 2018 5.30pm. 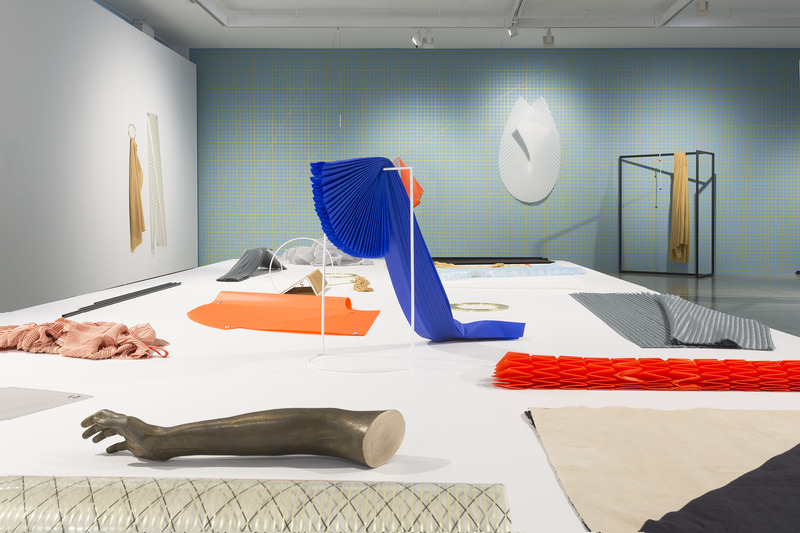 Kate Scardifeld, "Soft Topologies", Installation view. 27 February - 20 April, 2018. 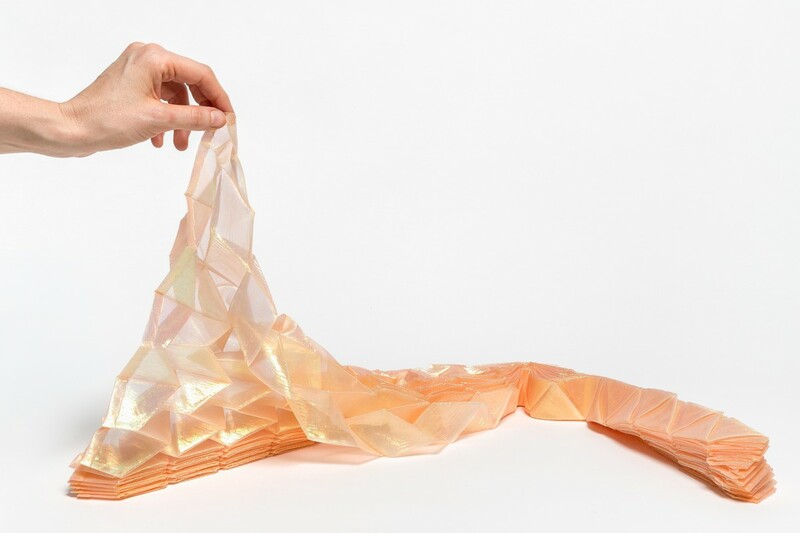 Kate Scardifeld, "Soft Topologies", 27 February - 20 April, 2018.